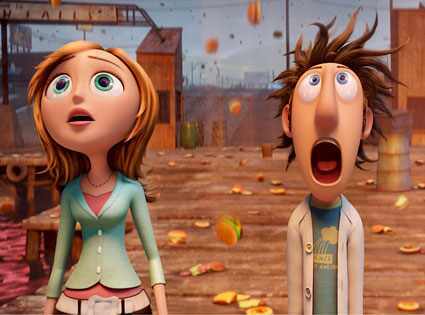 The movie, Cloudy with a Chance of Meatballs, is making a big splash in theaters! How kind of Columbia and Sony Pictures to time the release to coordinate with our writing lessons as we learn to incorporate idioms and metaphors into our writing. Idioms are phrases that mean more than their words put together. If you take them word for word, they might not make much sense! Idioms are a little like puzzles. It’s fun to figure them out and even more fun to use them in our everyday language. President Harry S. Truman invented this phrase and had a sign made for his desk with those words. Truman liked to play poker. In poker a marker called a “buck” was placed in front of the player who would be the next to deal the cards. A player who didn’t want to deal could pass the buck to the next player. On more than one occasion President Truman referred to the desk sign in public statements. For example, in an address at the National War College on December 19, 1952 Mr. Truman said, “You know, it’s easy for the Monday morning quarterback to say what the coach should have done, after the game is over. But when the decision is up before you — and on my desk I have a motto which says The Buck Stops Here’ — the decision has to be made.” In his farewell address to the American people given in January 1953, President Truman referred to this concept very specifically in asserting that, “The President–whoever he is–has to decide. He can’t pass the buck to anybody. No one else can do the deciding for him. That’s his job. The sign has been displayed at the Library since 1957. What are some idioms you know? Can you tell us the origin? I look forward to reading your comments.